Bradley Cooper Is A FATHER Girlfriend Irina Shayk Gives Birth! Bradley Cooper is officially a father! The a-lister and his model girlfriend of two years Irina Shayk welcomed their first child – two weeks ago – a source told PEOPLE. Bradley Cooper showing up in the Royal Box to watch the Gentlemen’s Singles Final match during the 2014 Wimbledon Lawn Tennis Championships on Sunday at the All England Lawn Tennis & Croquet Club in London, England. 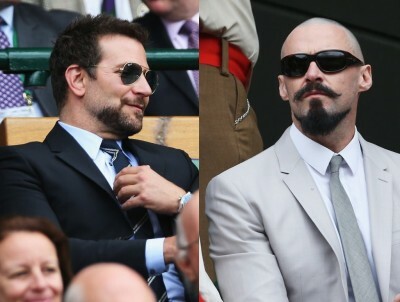 Also in attendance sporting matching facial hair was Hugh Jackman with his wife Deborra-Lee Furness. Who Is Danielle Davies? And Is She Obsessed With Bradley Cooper? 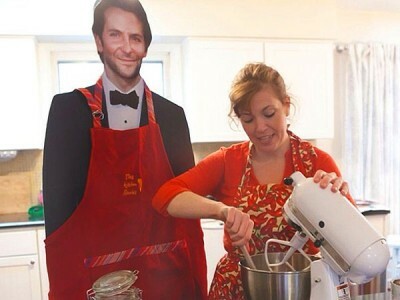 Danielle Davies is the mother who lives in her home with a cardboard cutout of Bradley Cooper. Davies, 39, allows the cardboard cutout of the Hangover star to participate in the most intimate of family moments: graduation ceremonies, reading in bed, grocery shopping and something that involves a AA battery.